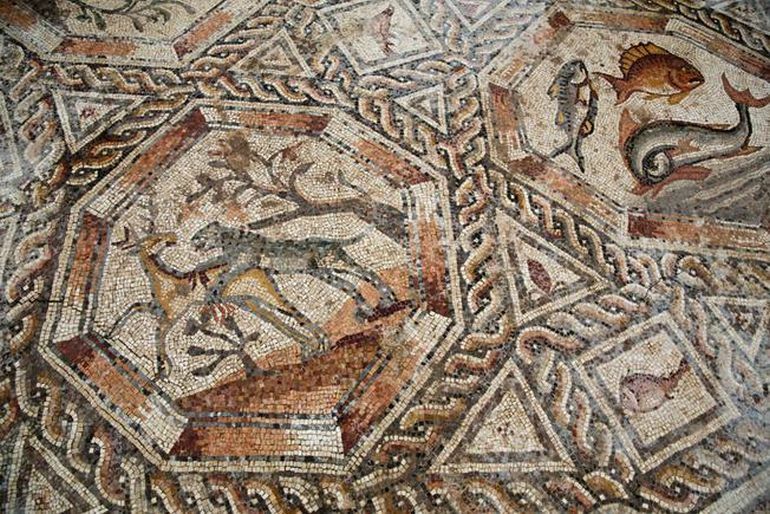 A stunning 1,700-year-old ornate mosaic, unearthed in 2015 in Israel, was revealed to the public the very next year. 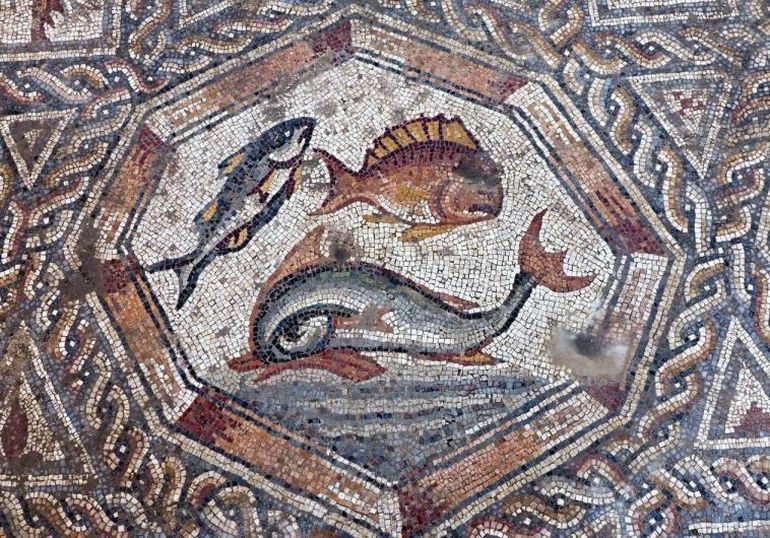 Discovered in the city of Lod, around 15 km (or 9 miles) southeast of Tel Aviv, this exquisite mosaic was originally part of the courtyard pavement in a plush villa (domus), during the late Roman and Byzantine periods. 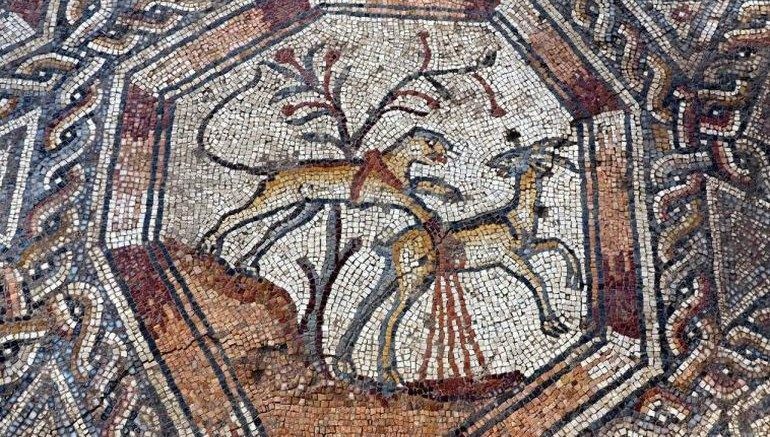 When it comes to history, the ancient city of Lod in central Israel (derived from Biblical Lod or Lydda) boasts a legacy that passed through the antithetical themes of commerce, scholarship, and violence. Pertaining to the former points, Lod was one of the important Jewish centers since 5th century BC, possibly fueled by the inhabitants who returned after the Babylonian captivity. However, by the latter half of 1st century BC till 2nd century AD, the settlement was subject to numerous instances of Roman intrusions, with two major wars – the First Jewish–Roman War (circa 66–73 AD) and the Kitos War (115-117 AD), playing their part in the significant destruction of the town. 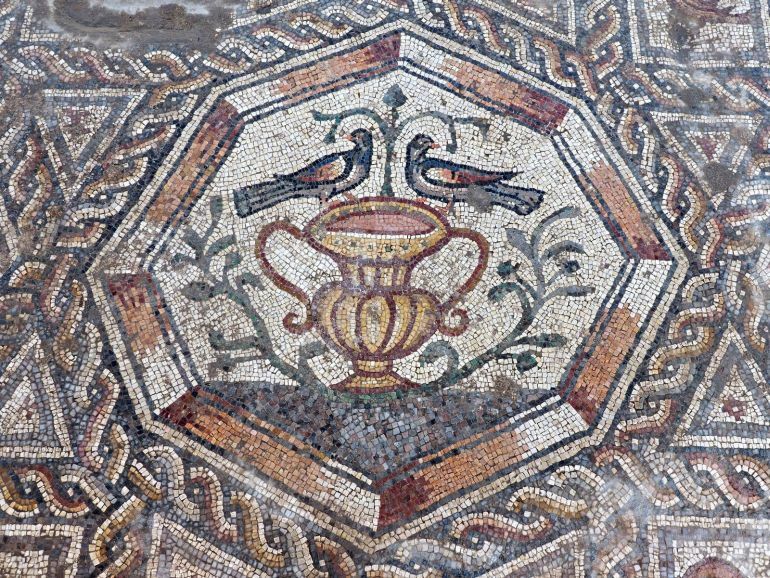 Important artifacts were discovered in the new excavation, the most notable of which is another colorful mosaic (11×13 meters) that was the courtyard pavement of the magnificent villa that had the famous mosaic in its living room. 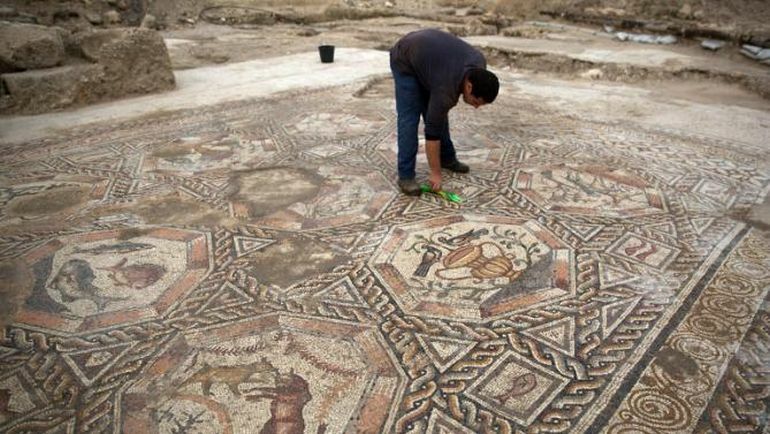 Excavation works in the area date back to the early 1990s when archaeologist Miriam Avissar and her team unearthed the now world-renowned Lod Mosaic. Believed to be one of the most beautiful artifacts in the entire country, it is currently on display at Venice-based Cini Gallery. 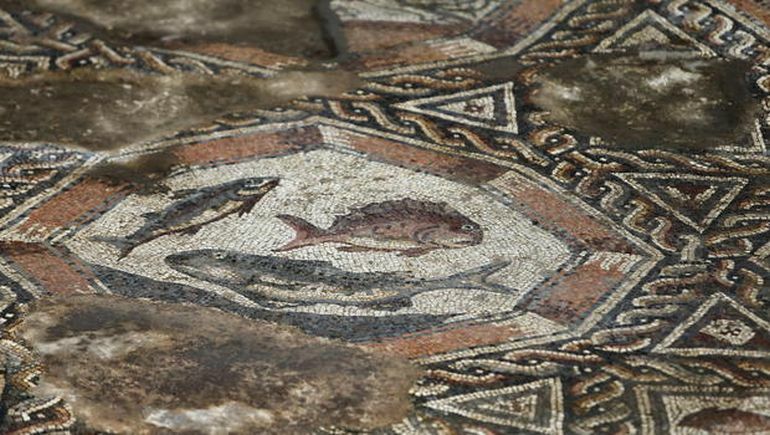 In the last few years, the mosaic had been exhibited in some of the world’s most famous museums, such as the Metropolitan Museum of Art in New York City, the State Hermitage in St. Petersburg, Russia as well as Paris’s Louvre Museum. Once completely constructed, Lod’s visitor center will be the mosaic’s permanent home. 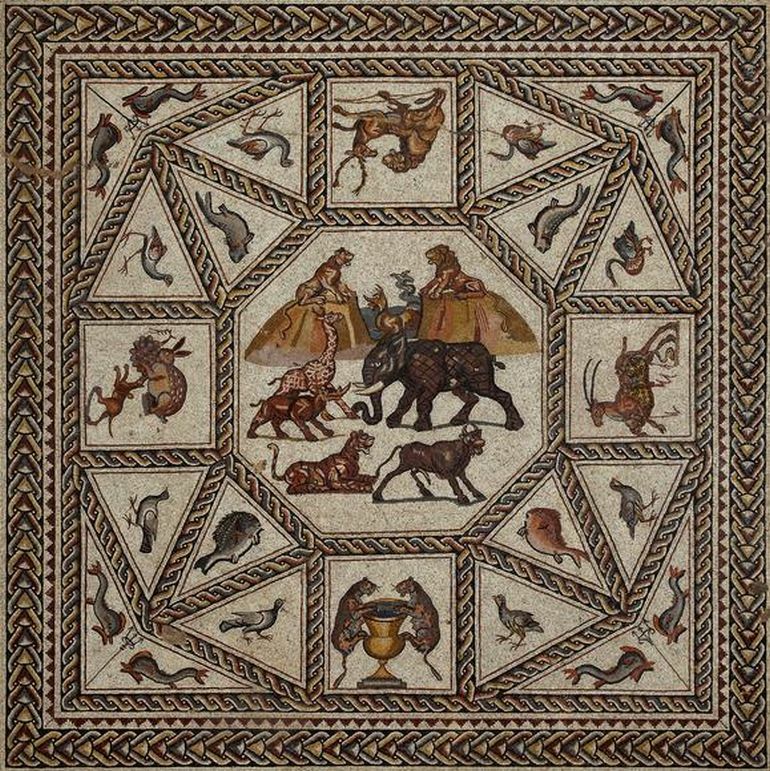 The quality of the images portrayed in the mosaic indicates a highly developed artistic ability… Numerous fragments of frescoes reflect the decoration and the meticulous and luxurious design, which are in the best tradition of the well-born of the period. In light of the new discoveries, this part of the villa also will be incorporated in the visitor center.